We are headed to Chicago for the weekend. Our daughter Krista is doing an internship there for college and we are going for a visit. I had promised her that I would bake something for her. She has said that she doesn’t have too much time in the morning; she likes to have food in the freezer that she can pop into the microwave and heat and eat. I wanted to make scones for her, but decided to take a little easier route. 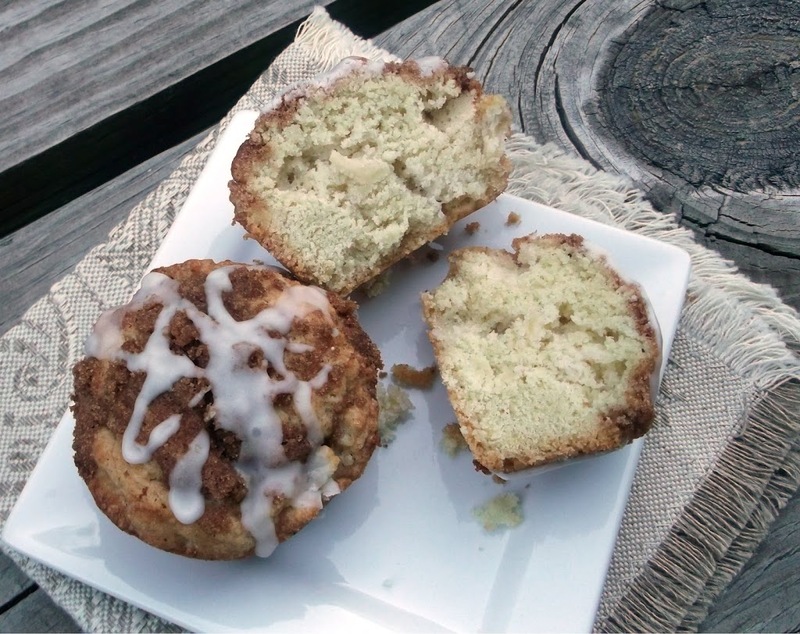 I found an apple streusel muffin recipe on the Taste of Home site that I thought would be a delicious way to start the morning. They smelled amazing as they were baking. Even though I had baked these for Krista I did have to sample one. Mike and I shared one and they were very tasty. 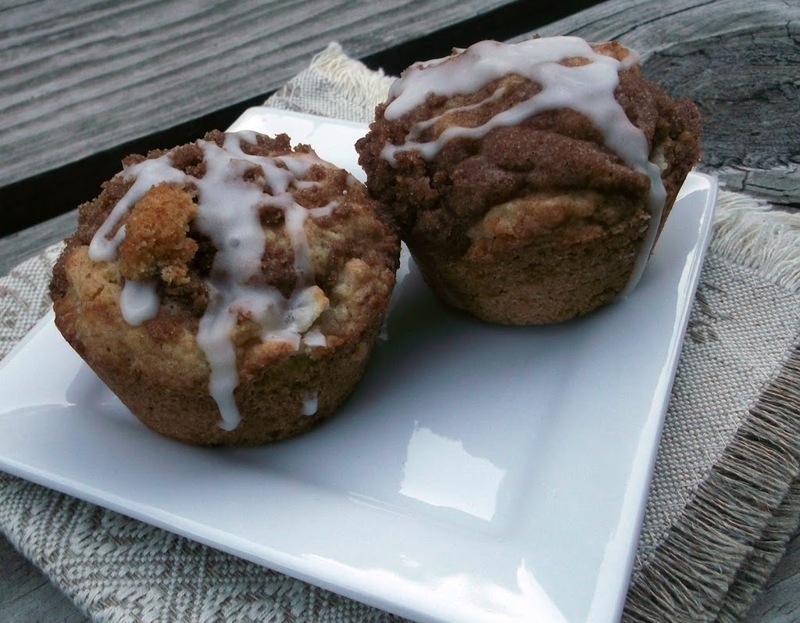 The streusel topping and the drizzle of glaze over this muffin made me think of a coffee cake only in a muffin. I am hoping that Krista will like them. 1. In a large bowl, combine the flour, sugar, baking powder, baking soda, and salt. In another bowl, combine the eggs, butter and vanilla; stir into dry ingredients just until moistened (batter will be stiff). Fold in apples. 2. Fill greased or paper -lined muffin cups three-fourth full. In a small bowl, combine the brown sugar, flour and cinnamon; cut in butter until crumbly. Sprinkle over batter. 3. Bake at 375 degree F for 15 to 20 minutes or until a toothpick inserted near the center comes out clean. Cool for 5 minutes before removing from pan to a wire rack to cool completely. Combine glaze ingredients; drizzle over muffins. 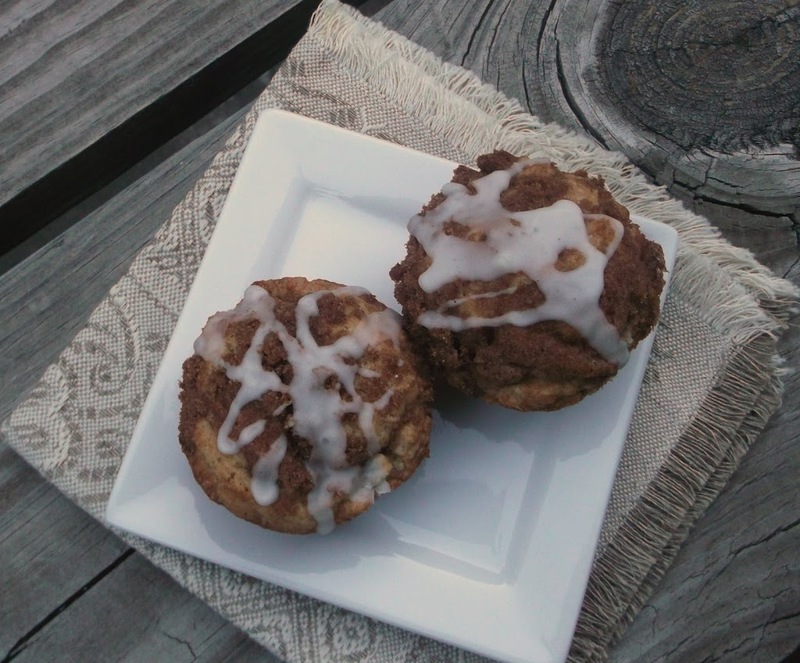 Having an apple orchard, I’m always looking for new recipes that use apples and your muffins sound and look great. I’m sure they will be much appreciated. I bet she will love them! I know I do. Anything with streusel catches my attention – add in some apples and I might even do a happy dance! Chicago is a great town – your daughter is lucky. And she’s lucky that you’re bringing these muffins! They look terrific. Love the topping. We have apples galore in our kitchen at the moment, and we’re baking up a storm with them. This looks like a likely recipe to try – thanks! My kids would be thrilled if I made these for them.